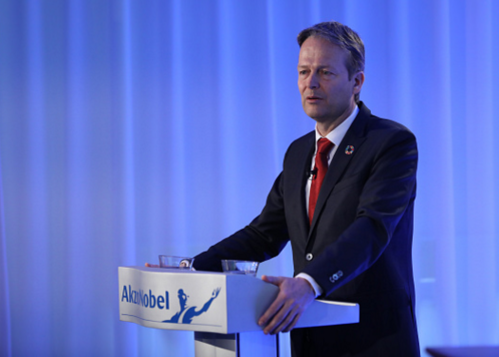 AkzoNobel CEO Ton Büchner has stepped down with immediate effect, More as we get it. 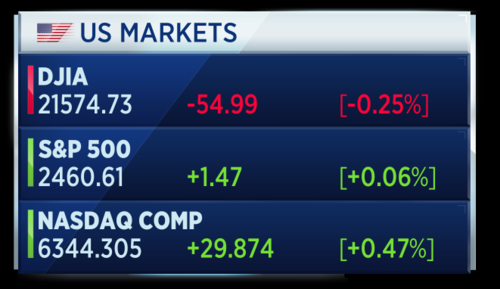 A mixed close for U.S. indices in yesterday's session. The Dow dragged lower by Goldman Sachs which failed to impress investors yesterday as the company's strategy remained murky during an investor call. In Asia we are seeing some strength in the markets toward the end of the session, particularly in China as economic data pushes commodities higher. 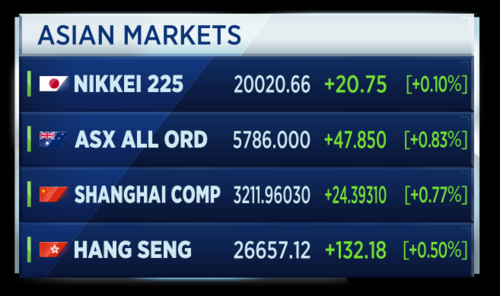 Asian markets are open and trading higher. 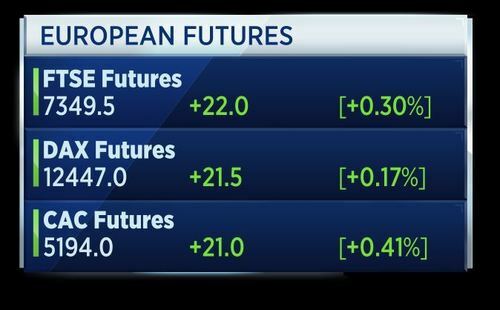 The strength in Asia is helping push opening calls for European markets upwards. The United States and China are meeting in Washington for first official trade talks. 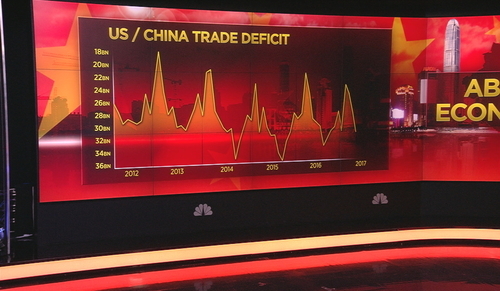 Craig Botham, Emerging Market Economist at Schroders is on set and says China is likely to offer some minor concessions to help Trump 'save face' but any major deals are unlikely. He adds that on the thorny issue of steel exports, it is worth bearing in mind it s only worth 2 percent of U.S. GDP and it is strange that there is so much focus on it. Botham says the U.S. may attempt to slap a levy on only Chinese steel, which could be tricky to achieve. Craig Botham says the second half of the year should see a slight slowing of current Chinese growth levels. The CEO of AkzoNobel Ton Buechner has stepped down with immediate effect due to health reasons. Buechner has led the Dutch paint maker since 2012 and is being replaced by Thierry Vanlancker, who previously ran the company's speciality chemicals division. The group has recently faced immense pressure from activist shareholder Elliott to sell itself to US rival PPG in a $27 billion dollar deal. Second quarter figures for Electrolux have hit the wires. Operating income increased to 1.9 Swedish Crowns while sales came in as forecast at 31.5 billion Swedish crowns. The firm has raised it s North American outlook to sit between 3 and 4 percent in 2017 while confirming its previous forecast for European growth in 2017 at around 1 percent. 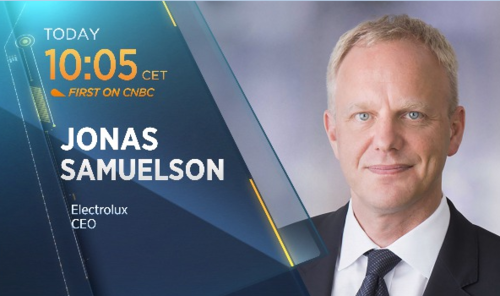 We will hear more about those results as CNBC gets the first post numbers interview with Jonas Samuelson, CEO of Electrolux, at 10:05 CET. Disappointing bank earnings dragged the Dow lower, as weaker fixed income trading weighed on both Bank of America and Goldman Sachs' second quarter numbers. Back in Europe, a solid boost in net interest and commission income helped Swedbank post stronger than expected second quarter operating profit. The Swedish lender noted that customer FX trading was particularly high, while corporate lending during the period fell slightly, due to repayments. 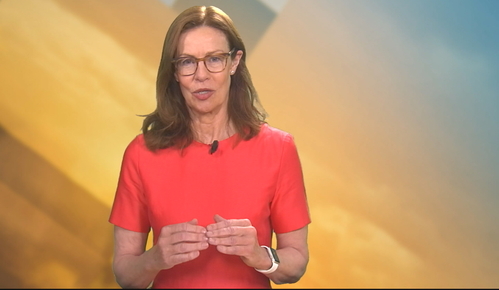 Birgitte Bonnesen, Swedbank CEO joins the team down the line from Stockholm. She says the bank is managing to increase revenue from mortgages, even as the central bank imposes negative rates. Bonnesen says increased volume is the key to maintaining income, but the bank has also been very selective on who it lends to. We look for positive cash flows, we don't like negative cash flows over many years. On expensive housing in Sweden, Bonnesemn says "prices are crazy" but there is not really evidence that it is a bubble situation. There is a supply problem. Nothing is being built for ordinary people. 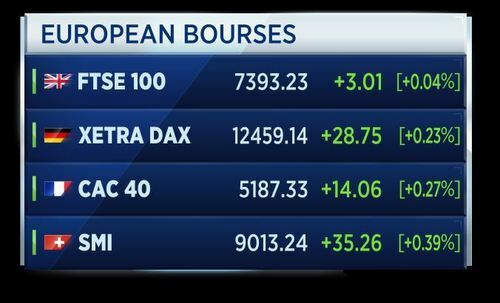 European bourses are expected to open higher this morning, paring losses seen Tuesday after the White House saw the latest setback in its efforts to drive ahead with health-care reforms. 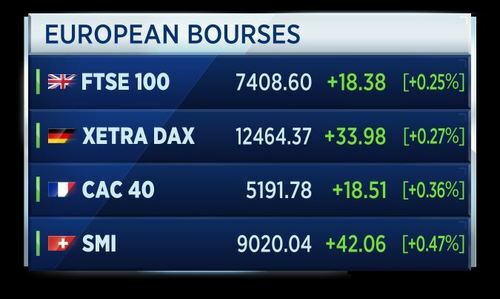 The FTSE is seen 21 points higher at 7,349; the German DAX is expected to open up 21 points higher at 12,447; and the French CAC is seen up by 21 points at 5,194. Swedish telecom firm Tele2 has upgraded its full year guidance, after posting second quarter earnings which beat analyst expectations. The company is now targeting 2017 EBITDA of between 6.2 and 6.5 billion Swedish crowns. Tele2 CEO Allison Kirkby joins CNBC live by phone from Stockholm. The mobile and data provider operates in 9 countries and lays claim to 14 million customers. Kirby says to maintain margins in a competitive sector, customers need to be given a great experience and must be allowed some flexibility with their contracts. The great thing is, customers love to be connected. Kirby says regulators have made it tricky for telco firms and they need to offer more certainty on spectrum pricing. The group has recently faced immense pressure from activist shareholder Elliott to sell itself to US rival PPG in a 27 billion dollar deal. Electrolux has upgraded its North American market outlook, after reporting a stronger than expected rise in second quarter earnings. The Swedish appliance maker upped its North American growth target to between 3 and 4 percent, citing strengthening demand and a favourable macro environment. Although Europe remained solid, Electrolux warned that the appliance market was weak in the UK. 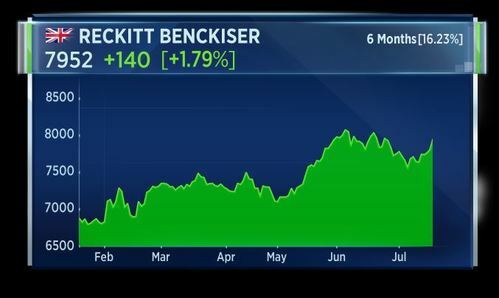 McCormick and Co will buy Reckitt Benckiser's food business in a deal worth 4.2 billion dollars. Brands include French's mustard and Frank's hot sauce. The American seasonings maker hopes the move will help it achieve "meaningful accretion" to margins and adjusted earnings per share. McCormick added that 2017 pro forma net sales were expected to amount to 5 billion dollars. Reckitt says it will use the funds to pay down debt. 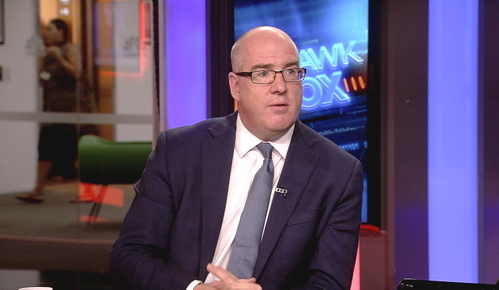 David Moss, Head of European Equities at BMO Asset Management is on set to discuss market strategy. Bob Parker also still on set. Moss says universally across Europe there is good news and France, Spain as well as Italy are all showing growth. He says it may be time to reallocate away from export sectors to domestic focused stocks within Europe as the euro strengthens. Moss caveats that by pointing out it is not easy to stock pick strong domestic European companies. You have had a multi year scenario of building more capital, ever lower interest rates and weak loan growth. All those things are turning. Not very much but we have seen better loan growth and better NPL ratios. 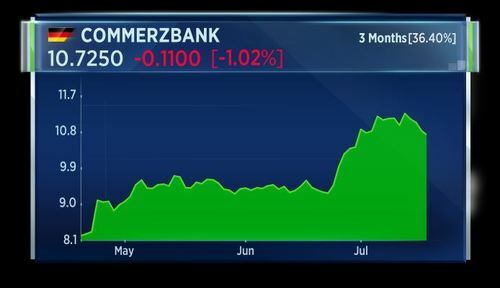 Analysts at UBS have downgraded Commerzbank, cutting the German bank's stock rating from buy to neutral. The lender last month warned that restructuring costs would push it to a loss for the second quarter. Commerzbank is in the middle of a major overhaul, which includes the reduction of its workforce by more than seven thousand jobs. The severance agreement is expected to cost 810 million euros, which will be booked in Q2. 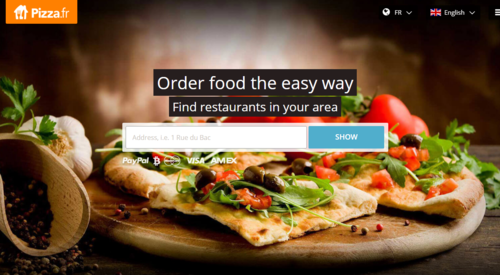 David Moss, Head of European Equities at BMO Asset Management is a personal holder of stocks in food delivery service company, Takeaway.com. He argues that the firm is a first mover in the shake up of the takeaway model. What we like are disrupters. These companies are changing they way that people order food and offering them various cuisines and price points. He says follow up firms aren't going to find it easy to sign up restaurants and that the employment model is remaining exactly as it ever was. Margins don't need to improve, it is about finding new markets. Cooking up a treat! Electrolux shares soar, as strong North American demand boosts the appliance maker's earnings. Volvo shares slip to a two-month low, as weak margins weigh on results. This despite the truckmaker raising its North American outlook, after posting slightly better than expected second quarter core earnings. Pass the mustard. McCormick buys Reckitt Benckiser's food business for 4.2 billion dollars, adding French's mustard and Frank's hot sauce to the company spice rack. 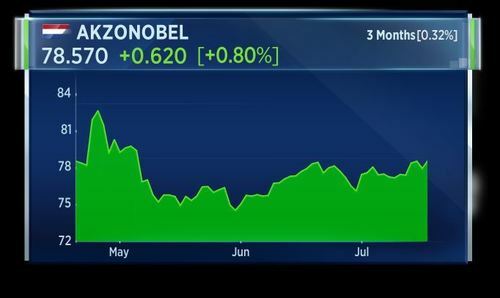 The CEO of AkzoNobel steps down, citing health reasons, as the Dutch chemicals company continues to battle activist investor Elliott Management's attempts to oust its chairman. ECB Governing Council member Francois Villeroy de Galhau says the risk of deflation has been removed from the euro zone. That's according to Reuters. He says the region still needs an accommodative monetary policy, but we are adapting its intensity depending on economic situation and inflation. 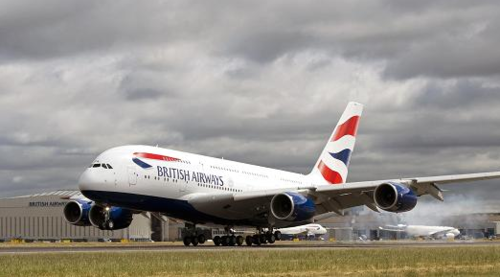 Some British Airways cabin crew are set to begin a fresh two-week strike over BA's reluctance to return full privileges to staff who took out industrial action earlier in the year. BA has warned the cabin crew to return to work, or face further consequences. On set John Strickland, Director of JLS Consulting says legacy carriers have learned their lesson from losing to short haul business and they won't allow the same thing to happen on long haul routes. He says long haul is a brutal environment for new entrants and there is no long haul carrier that is making a profit. On the BA outage which created worldwide delays for several days, Strickland says a report is soon due which all airlines will be keen to lay their eyes on. Head of French armed forces Pierre De Villiers has resigned. That's according to Reuters citing a statement from his office. Meanwhile, Dow Jones is reporting that the resignation comes after clash with President Macron on Budget. Cooking up a treat! 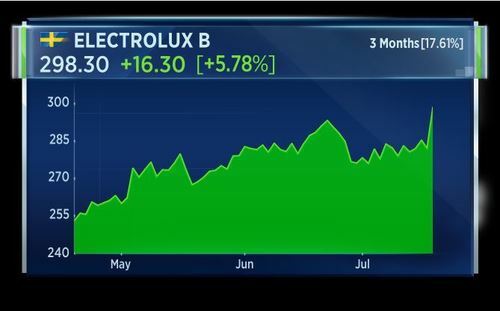 Electrolux shares soar to record highs, as strong North American demand boosts the appliance maker's earnings. 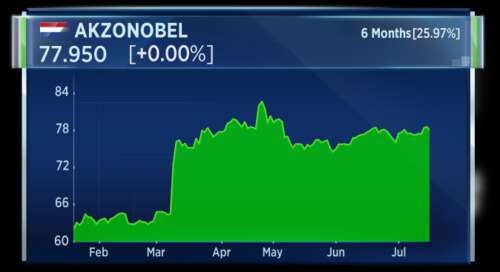 We'll speak to CEO, Jonas Samuelson, in 10 minutes time. Volvo shares slip to a two-month low, as weak margins weigh on results. This despite the truckmaker raising its North American outlook. We'll also speak to Volvo CEO Martin Lundstedt at 10:45 CET. Britain will probably need to set up fewer than 10 new regulators after Brexit. That's according to Reuters citing a government source. Macron appoints new French armed forces chief, Francois Lecointre, military source says current chief announced resignation in budget cuts row. That's according to Reuters. The U.S. mortgage market index increased 6.3 percent to 416.7 for the week ending July 14, according to the Mortgage Bankers Association. The average U.S. 30-year mortgage rate was unchanged at 4.22 percent. Germany's foreign ministry spokesman says foreign minister Sigmar Gabriel has summoned a Turkish ambassador to protest against the arrest of a German human rights activist. Gabriel demands the activist is released immediately. The spokesman says terrorism accusation raised by Turkey against the detained German citizen are absurd, according to Reuters. More U.S. earnings are now released. Northern Trust announces Q2 net profit of $267.9 million, on revenue of $1.32 billion, with earnings per share of $1.12. Union Bankshares Corp reports Q2 net profit of $18 million and earnings per share of 41 cents. Prime Minister Theresa May is answering questions to members of parliament ahead of the summer recess. She says the issue of "rip-off" debit and credit card charges is important. She estimates these charges totaled in 2010 as £473. She says these charges are to be stopped, in order to help U.K. consumers. Cambell Soup has provided an update on growth for the fiscal year 2018. The company reaffirms its previous guidance for full-year 2017. It expects to reach around $310 million in annual cost savings by the end of the 2017 fiscal year. It expects to generate about $1.25 billion in cash flow from operations in the fiscal year 2017, with a gross margin of 38 percent. The company sees adjusted EBIT rising by 2 to 4 percent in 2017, with adjusted earnings per share between $3.04 and $3.09, up 3 to 5 percent. The U.S. banking sector has exceed expectations,according to Kerim Derhalli, CEO and founder of invstr. Inflation may well have been subdued in the years and months since the lows of the crash, but the world’s largest economy is now benefiting from low unemployment rates. JP Morgan recording its highest ever quarterly earnings, as well as increased profits at Morgan Stanley, is testament to this growing confidence. Investors will now look for interest rates to ‘normalise’ and get closer to the three to four percentage point levels that we saw pre-crash and for the yield curve to steepen. 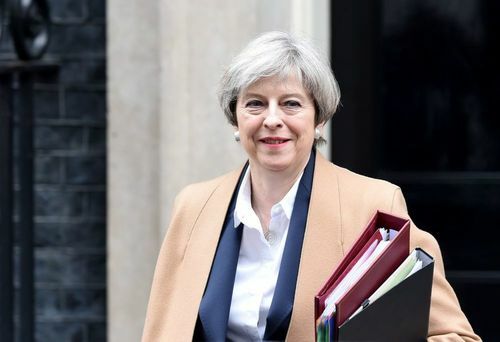 Prime Minister Theresa May says the government understands and accepts the importance of investing in infrastructure. She says the government recognises the importance of investment at the local level as well as the national rail, like the HS2 project. W W Grainger reports Q2 net income of $97.9 million, on sales of $2.62 billion. The sales result was below the IBES estimate of $2.63 billion. The adjusted earnings per share was $2.74, beating the estimate of $2.65. The company says Q2 was in line with expectations. Coming up in less than 14 minutes, we'll have the U.S. housing starts and building permits data for June. Housing starts is seen 6.4 percent higher, while building permits are seen 2.6 percent higher. President Trump has invited all GOP senators for lunch at the White House today to talk health care and "other issues," according to a White House spokesman. Trump took to Twitter this morning to confirm the lunch, saying Republicans "must keep their promise" on health care. 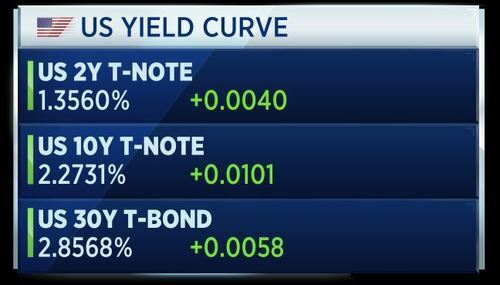 U.S. Treasury yields hold at higher levels after the stronger-than-expected increase in U.S. housing starts and permits. Senator Heidi Heitkamp from North Dakota, says there is hope for the health care bill. She says the dam is breaking and ideas from several senators and governors are being shared. She calls on the "political hatchet" to be buried and for the two sides to work together. Senator Heidi Heitkamp from North Dakota says the Democratic party has a lot of leaders right now. She says there is a void at the moment where a prospective candidate should be. She says the Democrats have to discuss health care fixes and tax reform. She says good policies is good politics. She says she will evaluate whatever policy comes forward on how it will affect her state and will view it fairly. 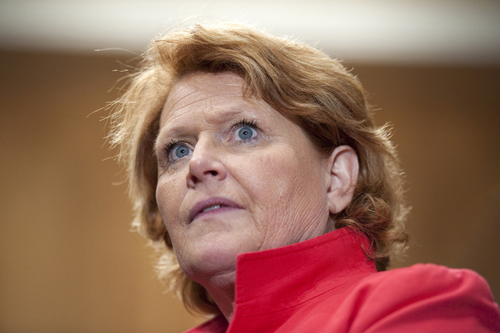 Senator Heidi Heitkamp from North Dakota says there is a deal to be made on tax reform or infrastructure spending and the two sides need to work on a solution. The company is reporting its latest earnings after the bell this afternoon. 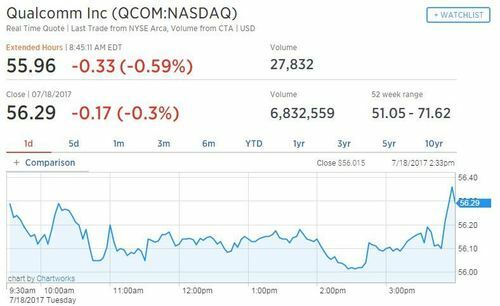 Qualcomm has been in dispute with Apple for several months. News today reports that Qualcomm faces fresh antitrust allegations from a group of four companies that assemble Apple products. Russian retail sales grew 1.2 percent year on year in June versus 0.7 percent the month before. June PPI increased 2.9 percent year on year, but fell 0.3 percent month on month. Russia's jobless rate in June was 5.1 percent, down from 5.2 percent in May. Real wages grew 2.9 percent year on year versus 2.8 percent the month before. Weekly consumer inflation grew 0.1 percent in the week to July 17, according to the country's stats service. U.S. housing starts rose to 1.215 million in June from 1.12 million in May. This was well above the 1.16 million expected. Jim O'Sullivan, chief U.S. economist at High Frequency Economics, says this result, along with the rise in permits, represented a strong rebound. Through the volatility, starts have continued to move up this year, led by single-family activity. Total starts have averaged a 1.201 million rate so far this year, up from an 1.177 million average last year. Permits have averaged a 1.238 million rate so far this year, up from 1.207 million last year. 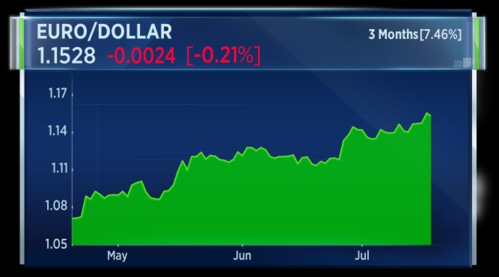 Ian Shepherdson, chief economist at Pantheon Macroeconomics, says a rebound from May's weak number was to be expected. The May numbers always looked too weak, so a decent rebound in June was in the cards.In the starts data, single-family rose 50K, with multi-family up 43K; for permits, single-family rose 34K, with multi-family up 54K, a 13.9% leap, but these data are very volatile. The trend in single-family permits has dipped this year, having previously overshot the pace implied by the level of new home sales. We expect sales to rise sharply over the summer, so fall construction activity should pick up, but the nervousness apparent in recent NAHB surveys, triggered partly by soaring materials costs, makes us hesitate before forecasting a sustained increase in starts and permits.